Louis is currently at Portsmouth FC Academy U18′s. He is working towards the Elite Coaching License (Level5). 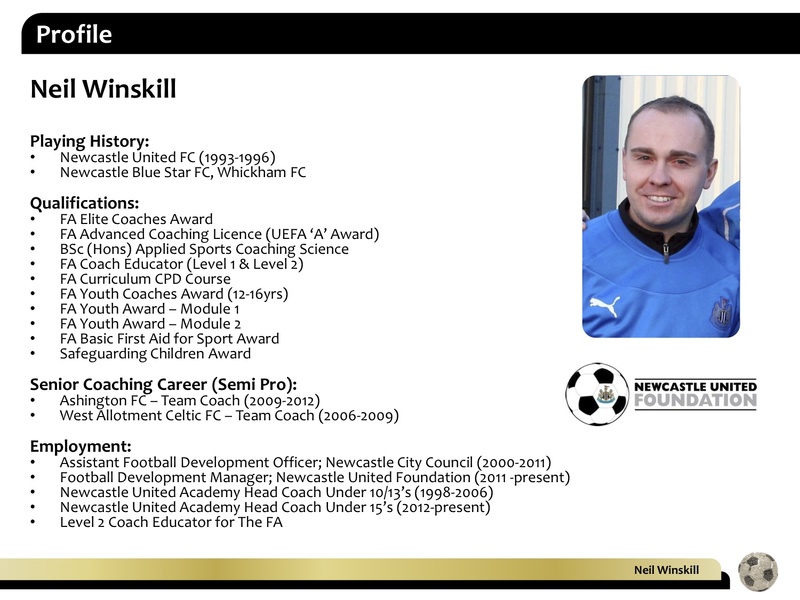 He has the UEFA A License and Age appropriate Modules 1 & 2 and Unit specific awards. Youth To Pro Soccer (YTPS) is solely about sharing information for Coaches at all levels, if its grassroots or professionals. 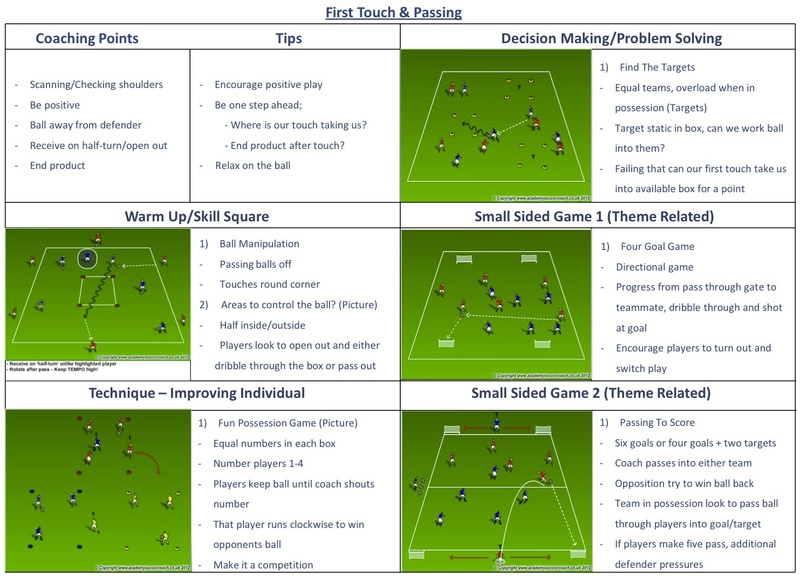 I have put together a 4-3-3 Booklet of sessions and exercises for Coaches to Download for FREE. 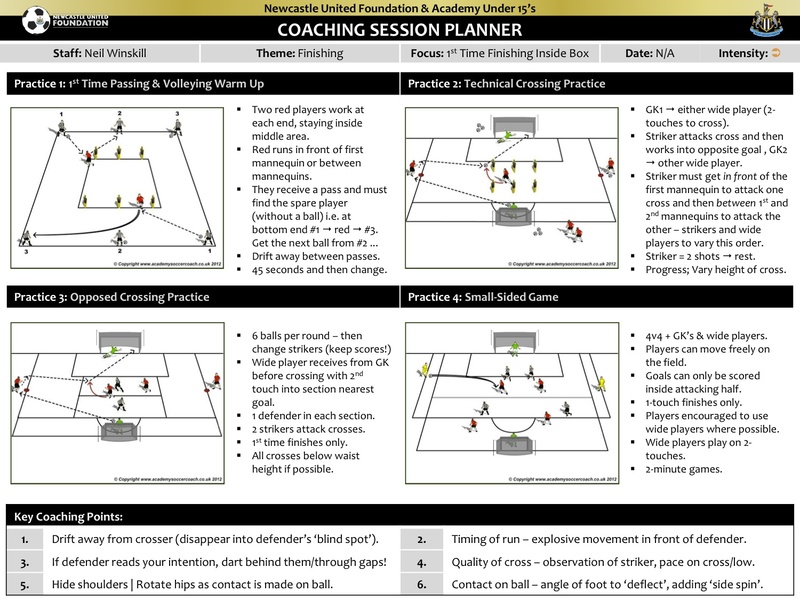 All Sessions have been made by Academy Soccer Coach (ASC) coaching Software, which is the best on the market! 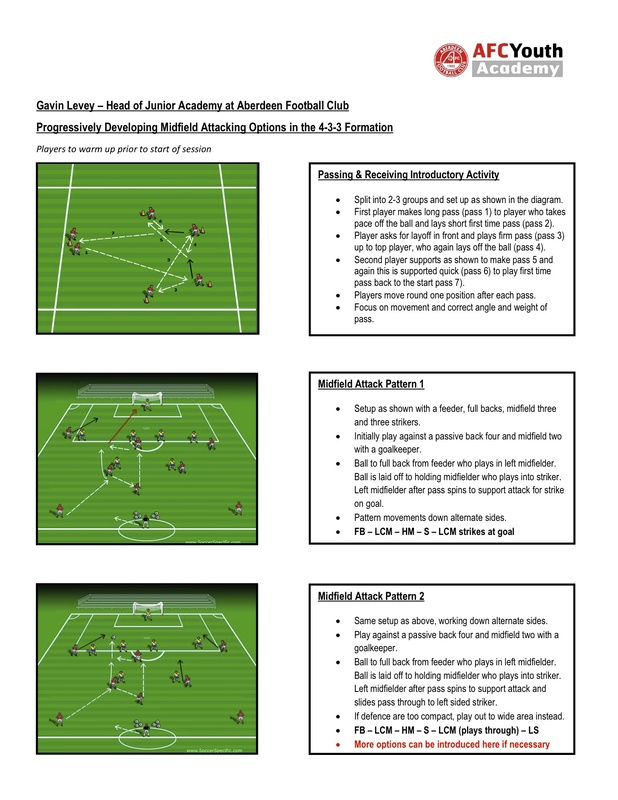 Reference: Dan Rufner, AK ODP- roles and responsibilities in the 4-3-3. Robert Gale is the Head Coach of the U18 Canada Mens Team. He also is the assistant of the U17 Mens team. He has the Canadian and USSF A license and is completing the UEFA A License this summer. 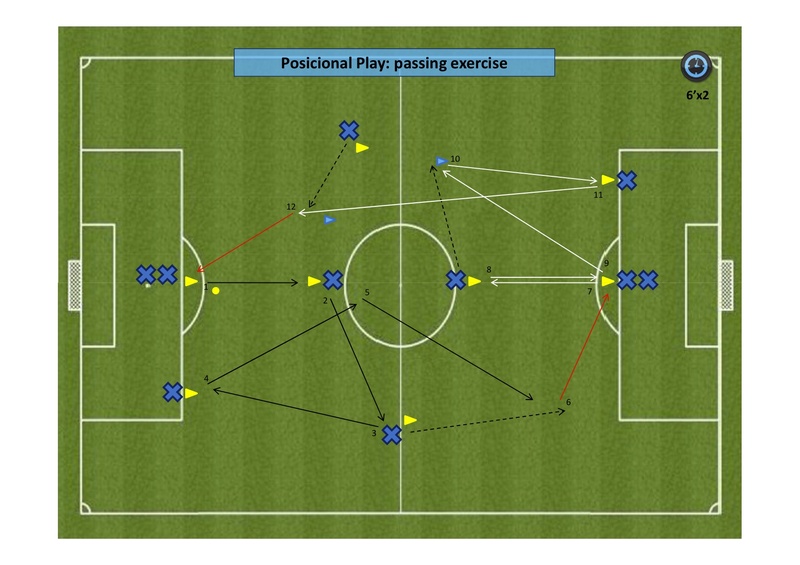 One player has the ball he dribbles inside circle- partner moves without the ball but still cannot be in same half as partner. All Runs must be in shape of 7 (check mark). 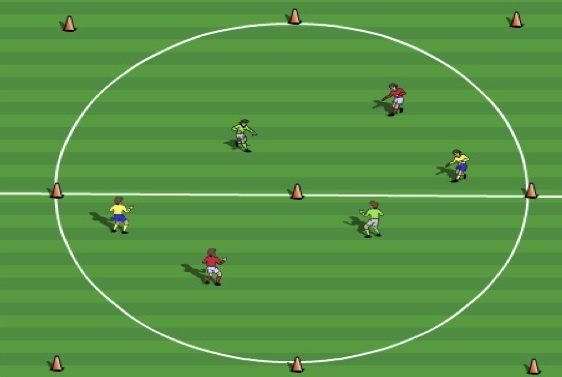 Players then move ball between them and combine whilst still making runs and being in opposite sides of the circle –both horizontally and vertically. 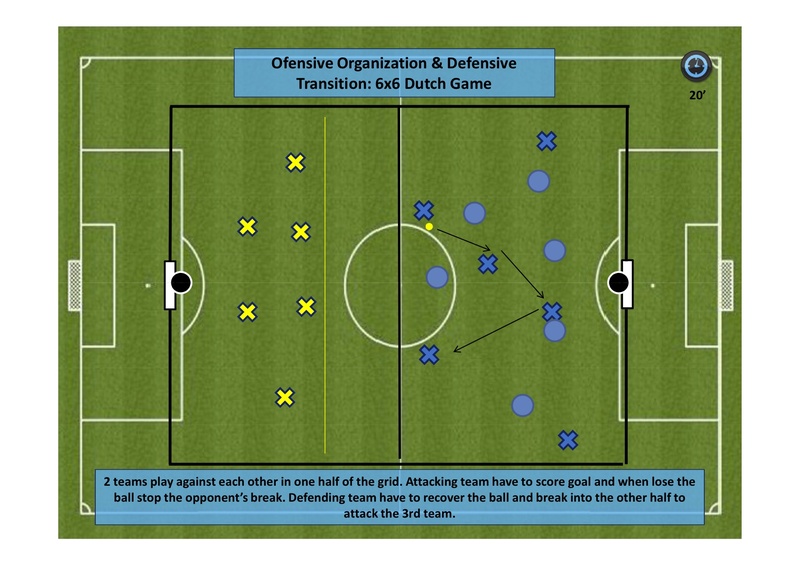 Central midfield three work inside center circle with 4 10x 10 divisions, each occupying a different quarter each. 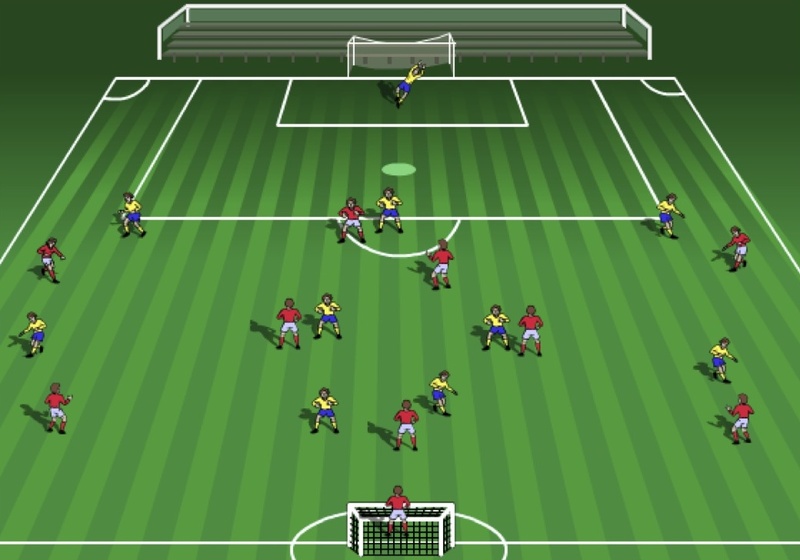 Players rotate off each other trying to maintain good distances and angles of support for each other. 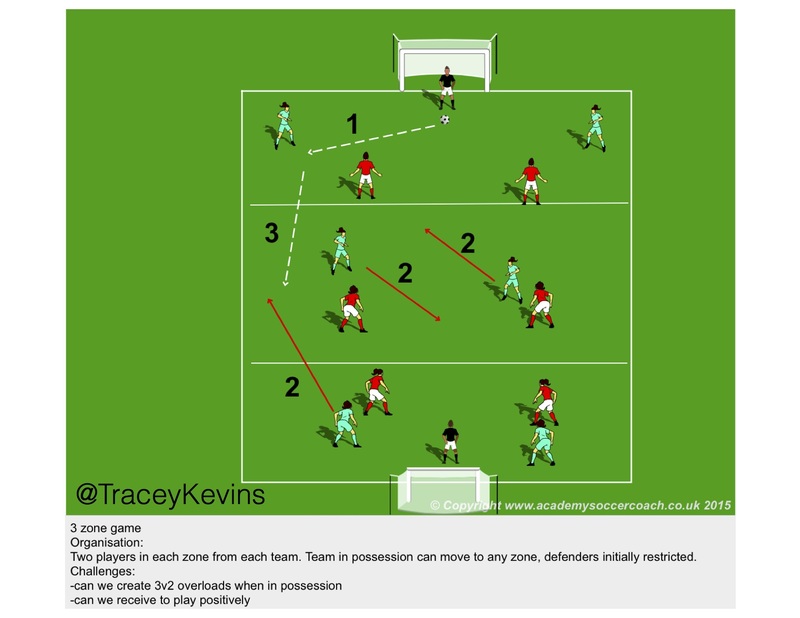 After a couple of passes with rotation ahead of the ball- little set back pass for deep midfield who hits first time raking ball to flanks- aiming for 20 yard triangle set up on line. 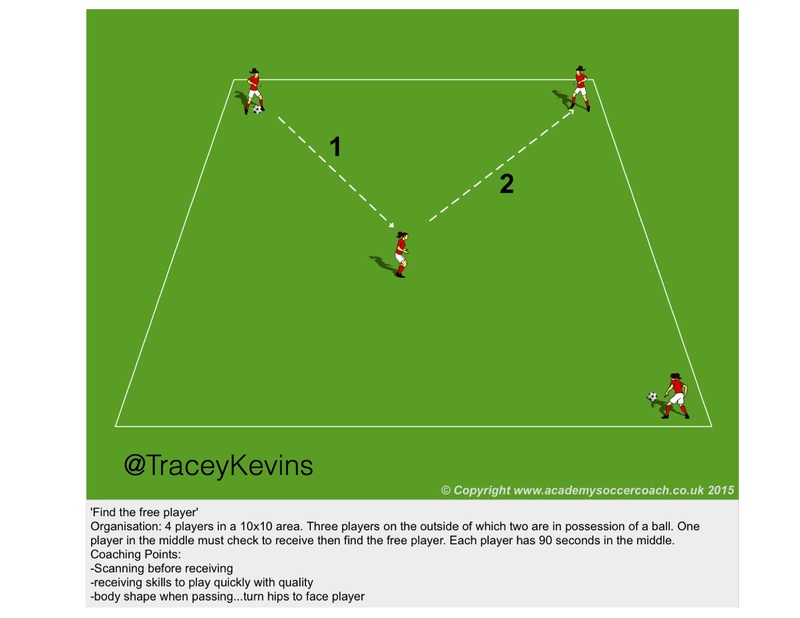 Wide player takes ball out of the air and on the run and delivers cross into area. 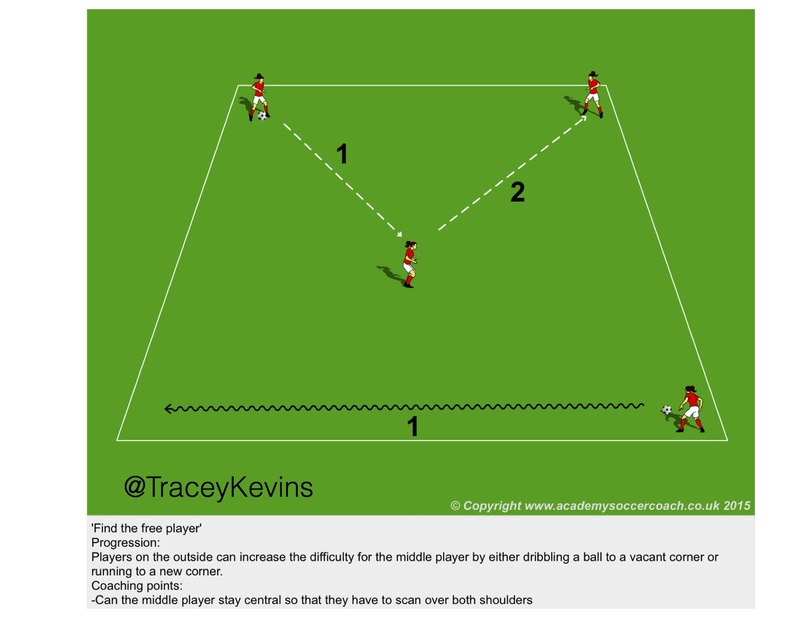 Midfield three then get another ball and try and work both flanks as appropriate to play. 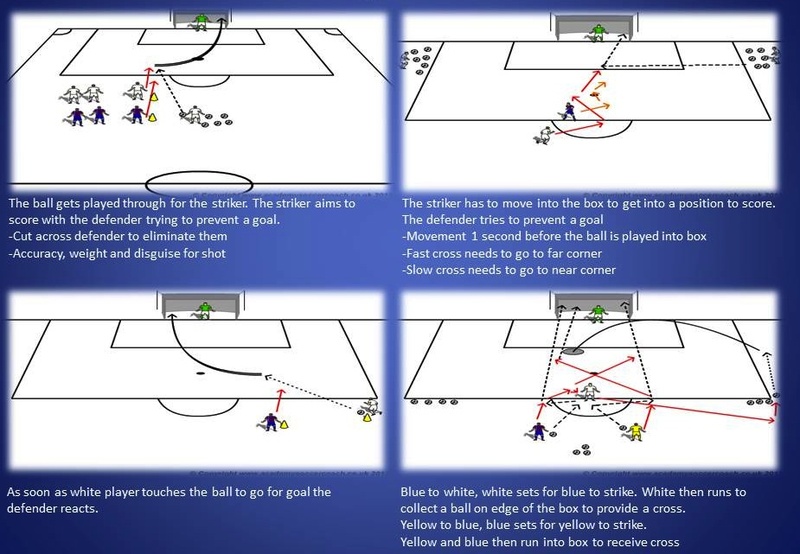 Coaching Points:Movement of players should be sharp and read off each other tempo in passing combinations. Set back ball needs to be weighted to allow for first time switch ball. Wide player should be anticipating driven ball wide and take ball out of the air and in their stride and hit realistic cross on the run. 3 players at each end about 50 yards apart. 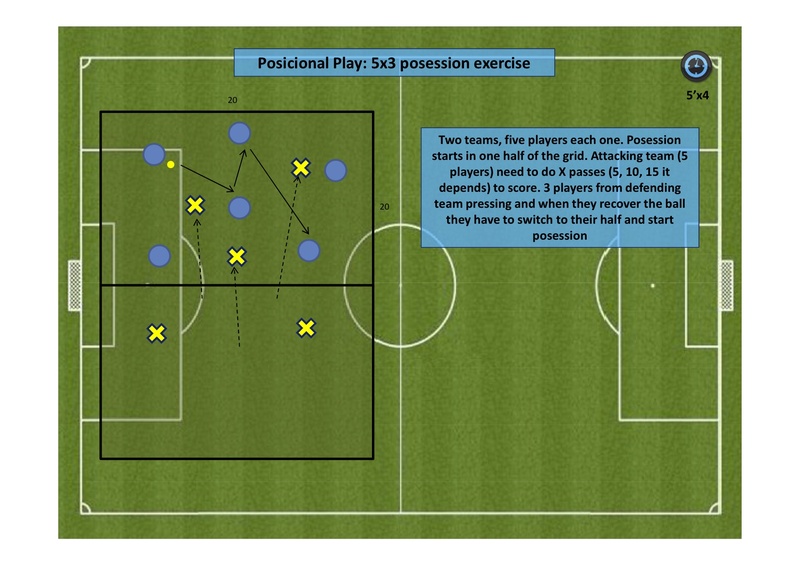 And 3v3 in the middle 30×30 yard square. 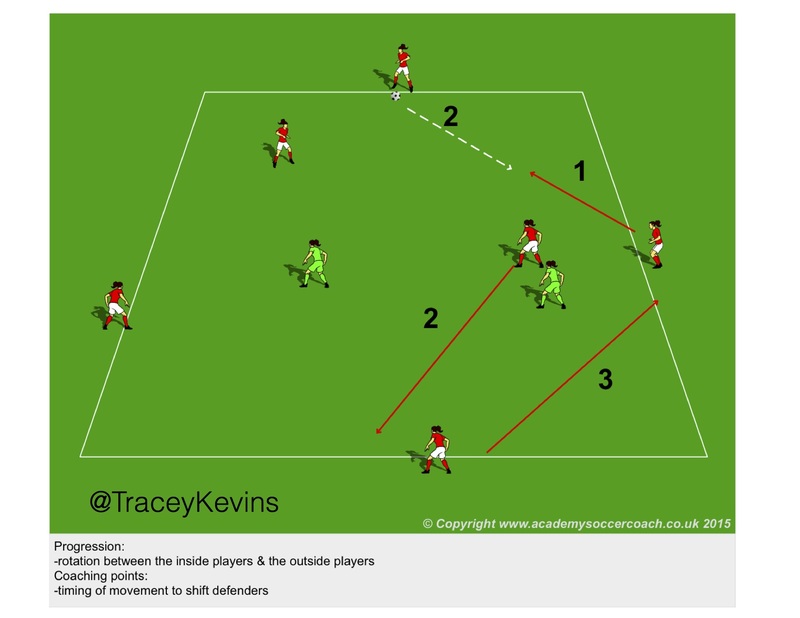 Players try and rotate in the midfield and switch play from one side to the other- back 3 at each end rotate ball around and look to play forward when movement dictates the pass. · Recap on themes from previous sessions. 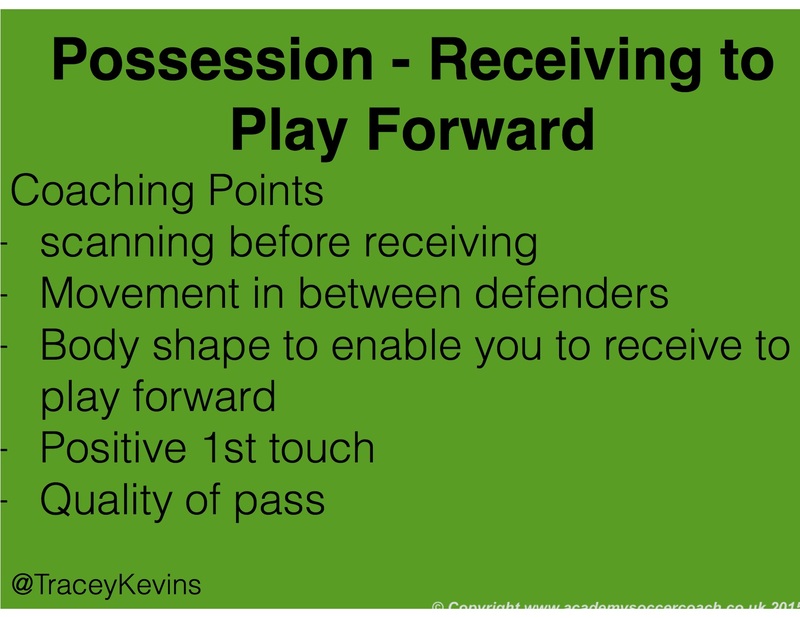 Focus on ability to play out from back through midfield quickly and simply. 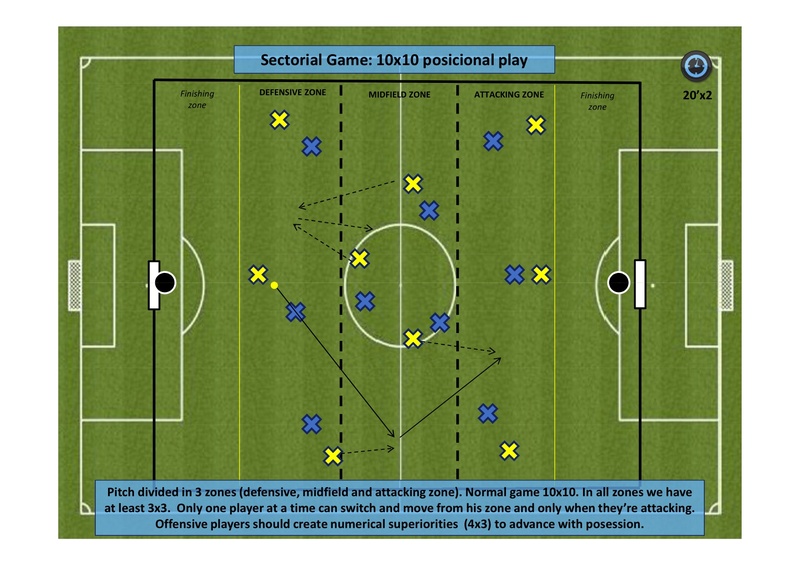 · Midfielder’s ability to play with head on a swivel, look forward, think forward and play forward. 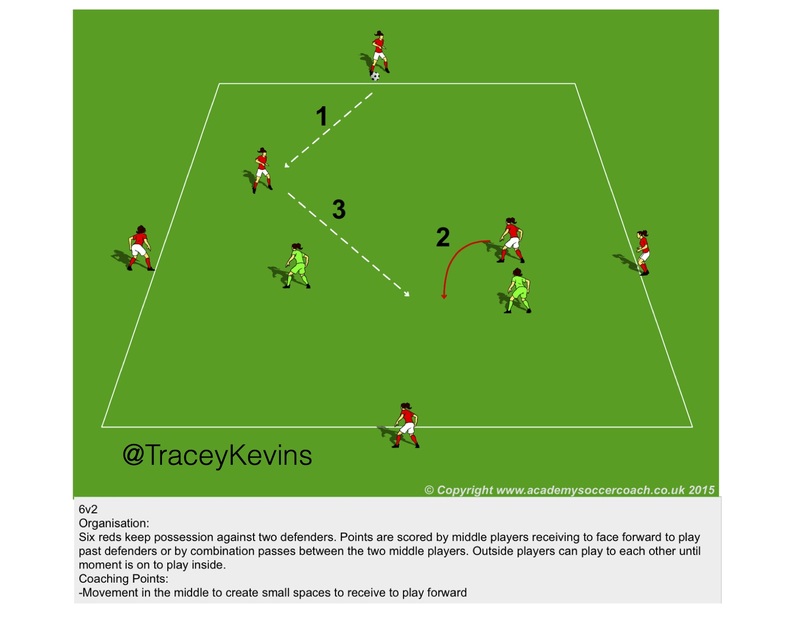 · Wide players can they get shape early and go at players 1v1. 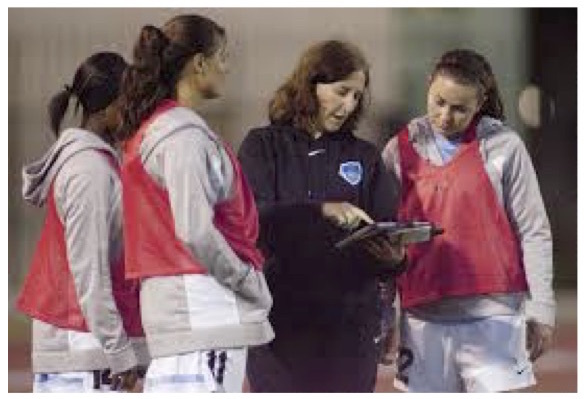 · Can strikers play on a pendulum- show and show again. 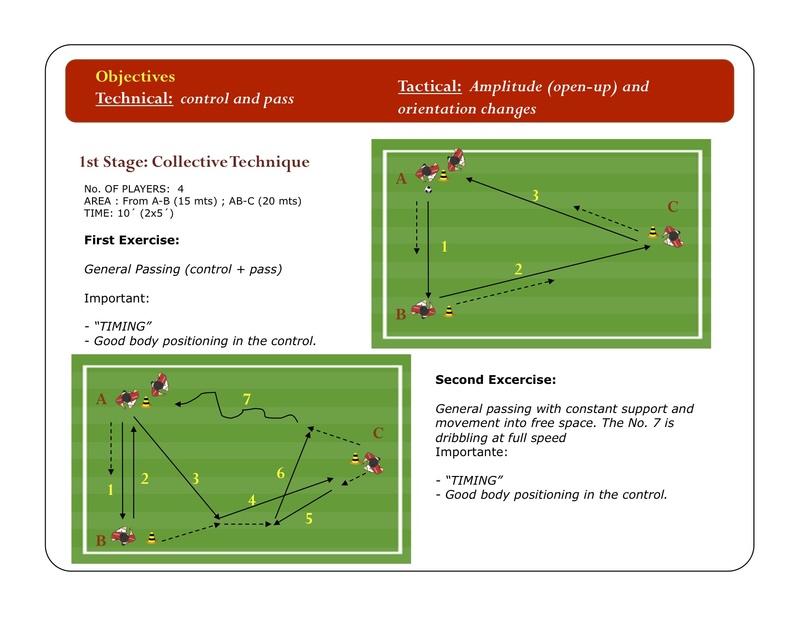 · Timing and movement of attacking runs. Scott is a Chelsea FC – Foundation Coach. He has the FA level 1 & 2, Futsal level 1 and a BA (Hons) in Football Studies. Louis is currently at Portsmouth FC Academy U18’s. He is working towards the Elite Coaching License (Level5). 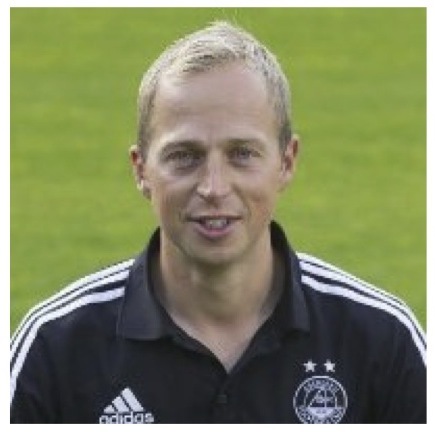 He has the UEFA A License and Age appropriate Modules 1 & 2 and Unit specific awards. 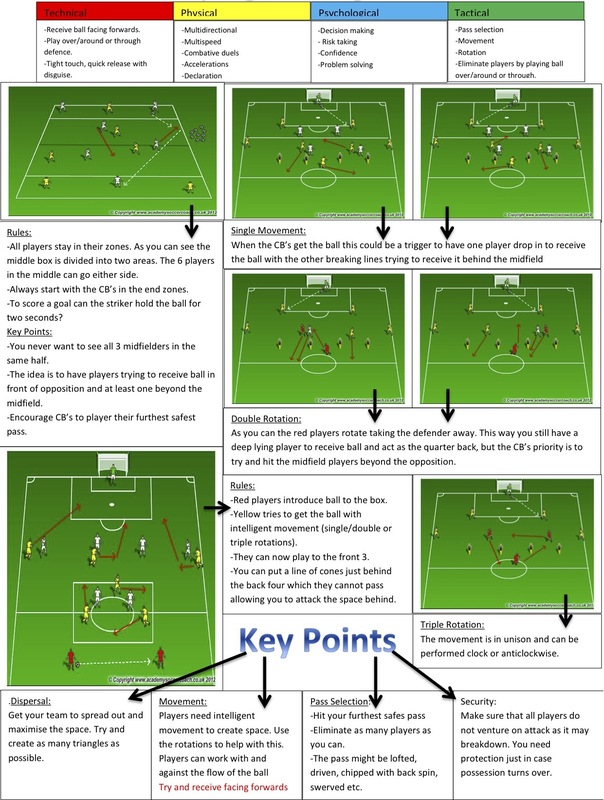 This is Neil’s second session for youthtoprosoccer.com. To see his first session please Click Here. 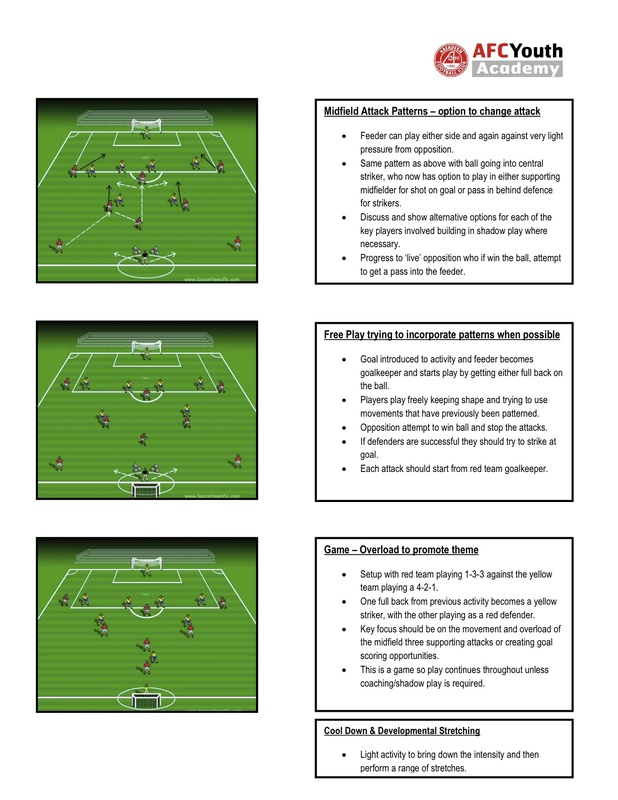 It is a session on the role of the ‘modern day’ defensive midfielder. 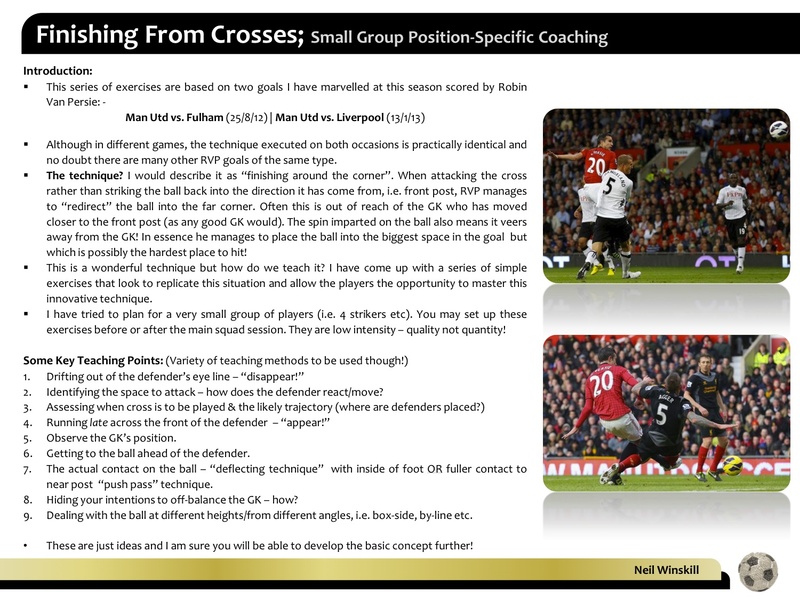 This session is designed from watching Robin Van Persie scoring goals from crosses at Manchester United.